We stayed in the Turtle Eco Beach resort last night. It was a stylish, self-consciously eco-friendly place about 2m above mean sea level. I don’t know how they cope with king tides and storm surges. We know how they were forced to cope with the tsunami. The TEB had a tres chic, slate-grey tiled swimming pool and surrounds. The water was just cool enough to be refreshing. In the evening we had a paddle on the sea which was cooler than the pool and cleaner than other beaches we’ve seen. At risk of being parochial, if it’s beaches you’re after you can’t go past Australia. In the morning we backtracked to Matara before breakfast to explore that town in the cool and calm. 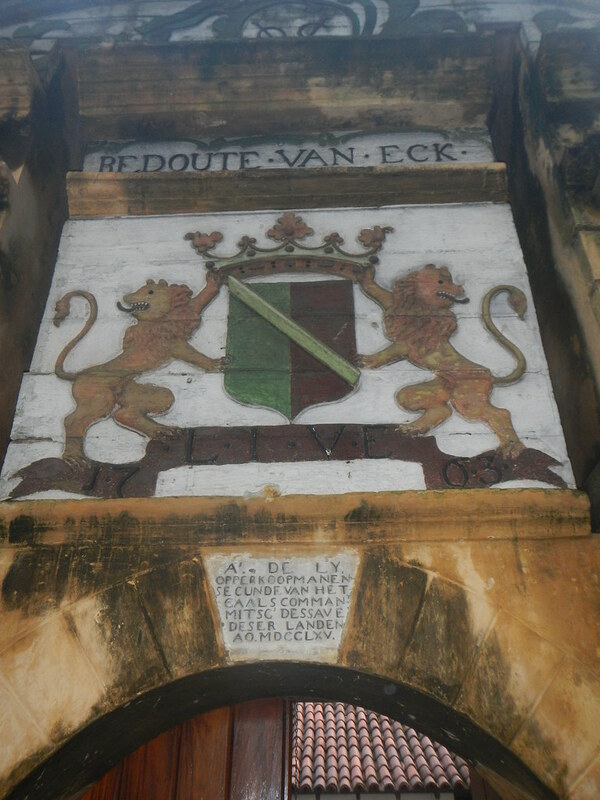 The Redoute van Eck (Star Fort) was erected by the Dutch in 1765 to defend a poorly-sited Portuguese fort built a century earlier. The caretaker was stirring while we were at the gate. He lives in the powder room and for a small consideration showed us around. The redoubt has massively thick walls, a moat with crocodile (we saw it), a drawbridge and many corners from which to fire on attackers. The Dutch didn’t occupy this area for very long. I think the Kandyans were tough customers and perhaps commercial deals with the locals made better business sense than occupation. The fort was named after Lubbert Jan Baron van Eck, the Dutch governor at the time. We saw a squad of about 50 soldiers doing PT on a soccer field. The AK47-armed sentry nearby was probably happy doing his duty instead. Back to the TEB for breakfast and then off to the A2 and Galle. The road followed the coast but much of the beach has been alienated from public use by high-walled resorts. Occasional glimpses are possible through hotel gateways. 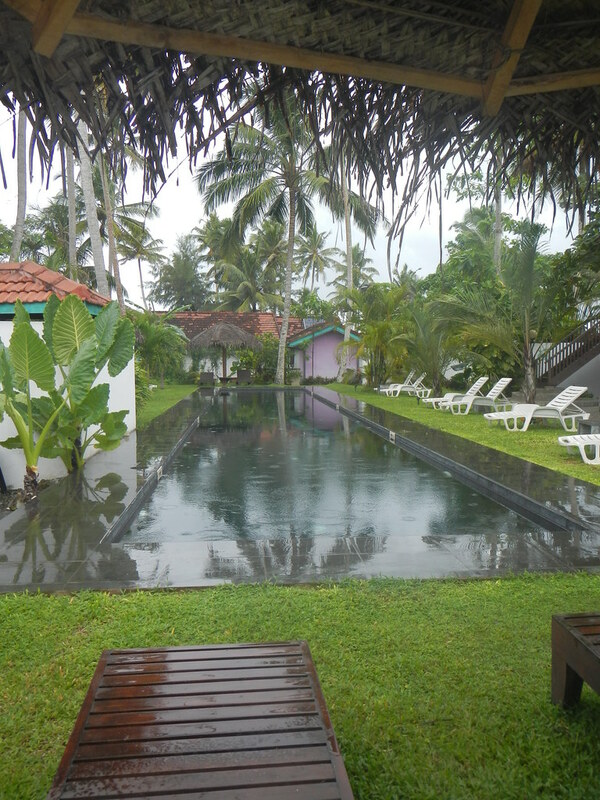 We found our lodgings in Galle without drama. The Green Wood Garden is a homestay in a grand family bungalow owned by husband and wife doctors. High ceilings, fretwork panels over the doors, ceiling fans and an unobtrusive baby with attentive grandmother singing charming Sri Lankan lullabies. We had a siesta and then rode into town after the worst of the day’s heat had passed. Galle traffic certainly focuses the mind. There’s a lot of it, it’s hectic and keep left is only a suggestion. We found the legendary Galle International Cricket stadium. 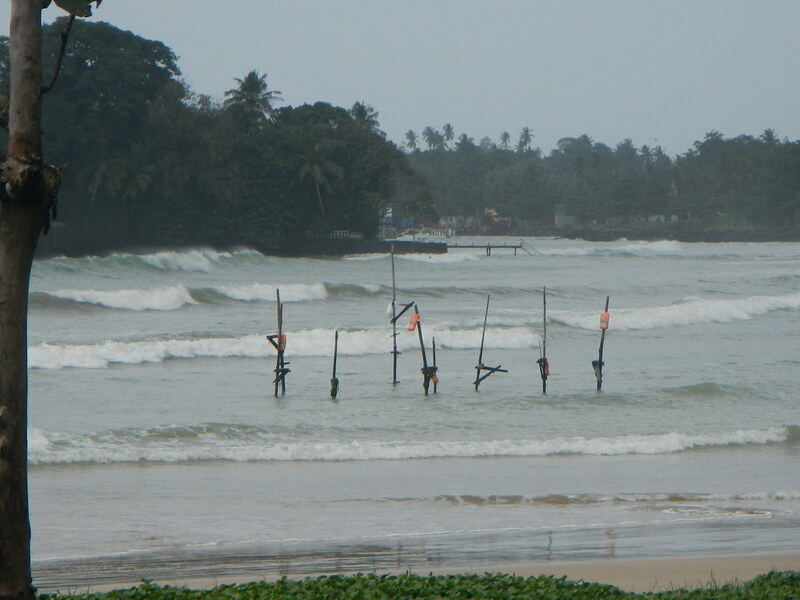 It’s well placed between the bustle of the town and the 500 year old Galle Fort. Unfortunately, it’s only a few metres above sea level and was wrecked by the tsunami. One of the stands is still wrecked but the rest seems in reasonable nick and the ground looks like it could be worked up for an international match in pretty short order. It looked better than I expected. I’ve no idea how anybody could play a game of cricket in this climate. 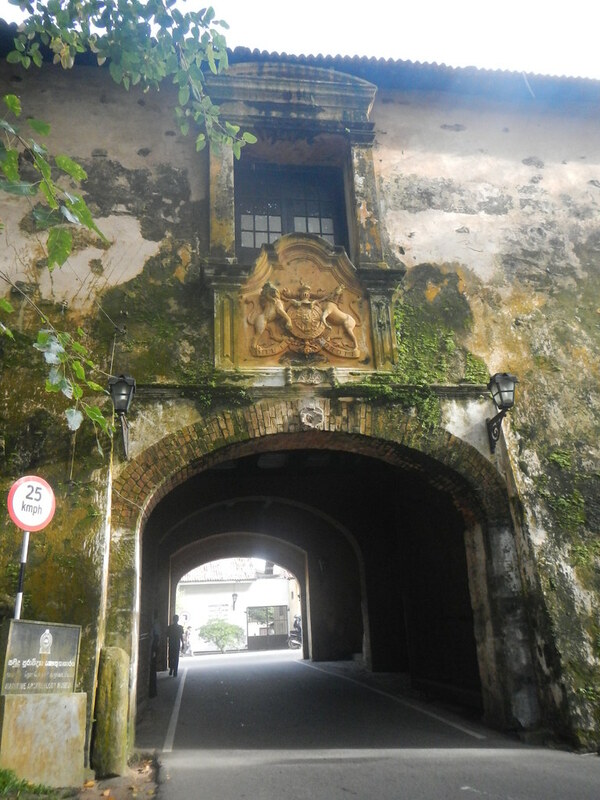 The huge fort guarding the harbour has massive ramparts and contains a hybrid Dutch-Asian town. We returned to GWG for a dinner cooked specially for us by the household’s domestic servant. We are very fortunate. This entry was posted on 21 September 2015 at 2:18 pm and is filed under Sri Lanka. You can follow any responses to this entry through the RSS 2.0 feed. You can leave a response, or trackback from your own site.